Hamilton Secondary College offers the unique combination of Adelaide-based adult education courses in wine appreciation, winemaking and viticulture, in a sociable, inclusive and hands-on environment. Whether you are looking for something fun and different to learn, have a passion for wine, or have ambitions to work in the wine industry, these courses can fulfil all of these requirements. Additional benefits are the high standard of teaching, the possibility (but no obligation) to gain qualifications, low fees, and attendance times that can fit easily around our working lives. For those wishing to become involved in the wine industry, there are networking benefits as you are introduced to key established players in the South Australian wine industry. The venue is Hamilton Secondary College in the Adelaide suburb of Mitchell Park (contact details at the end of this article). The tutors are: Strat Koultras, a teacher at the college and wine passionado, who through his dedication has established working vineyards and the small-scale Sturt Creek Estate winery and bottling facility on the college campus; and David Crossman who teaches the wine appreciation course. General information about the courses and enrolling may be found at the Hamilton Secondary College website. Watch a short clip showcasing the Foundation Winemaking course. The course covers grape varieties, winemaking, the chemistry of wine, and wine labelling and marketing, and wine regions of Australia. A science-based course designed for adults interested in making wine (with little or no prior knowledge). Incorporates both theory and practical components with hands-on experience. Some physical work with some flexible hours. Lasts between one semester and one year, evenings and some weekends. A Vocational Education Training (VET) approved course leading to the Certificate 1. 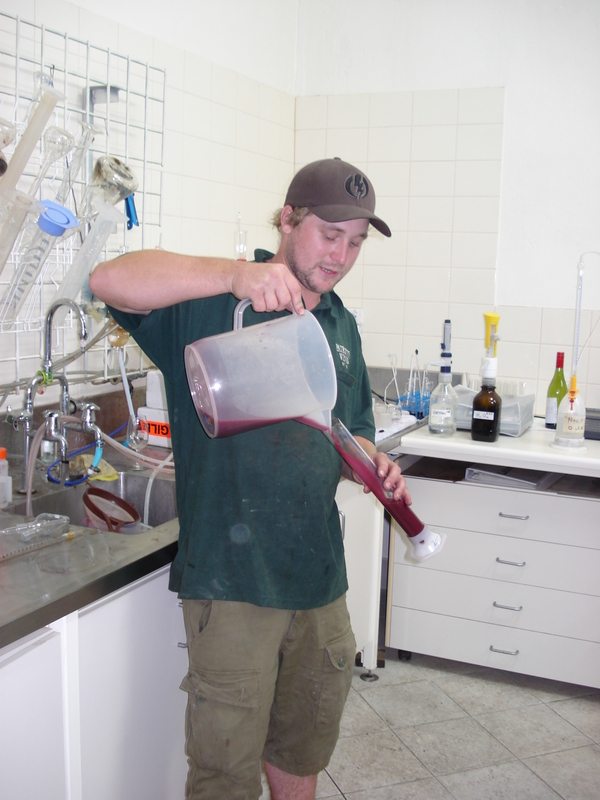 This qualification is part of the Food Processing Industry Training Package, Wine stream. Available for the first time in 2011, starting February. Emphasis is on practical experience and will require industry placement or employment. Students will study at the college, work in vineyards during pruning season and undertake tasks in Sturt Creek Estate winery. Students will be trained to industry standards in work procedures and OHS&W. This course will be run on Tuesdays during the day. The course aims to give students a basic understanding of wine and wine types. Students taste a range of wine types from Australian regions and overseas. Learn characteristics of the key wine styles and grape varieties with regards to sight, smell and taste. Learn to identify and evaluate wine styles and develop an understanding of what represents value for money. Opportunity to gain the VET competency Evaluate Wines (standard) (small additional fee, and with further study). Lasts eight weeks, evenings only. These courses are respected and can lead to tertiary qualifications. 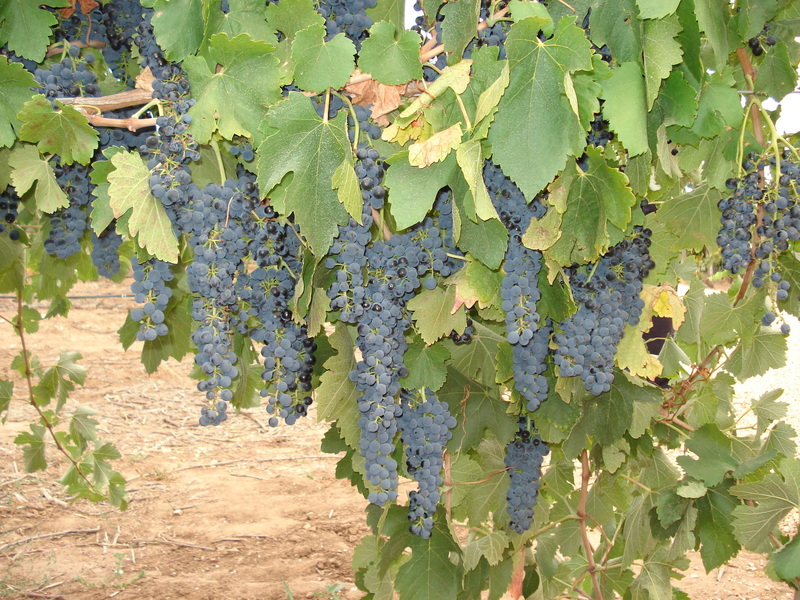 There are links with industry, particularly Patritti winery, and Mandelli wines. There are also links with academia – for example, in order to make wine twice during the year it is necessary to freeze some of the grapes picked at vintage for the students of the course in the second half of the year. Strat has consulted Vladimir Jiranek from the University of Adelaide at the Waite campus regarding a range of processes and winemaking methodologies, including all of the questions around freezing winegrapes for future use and how best to use them. These courses provide you with a superb comprehensive education and hands-on experience, they are enjoyable and sociable, and provide important networking opportunities in the industry. Many of the people doing the courses have gone on to work in the wine industry, with the qualifications and experience earned at Hamilton Secondary College boosting their confidence and their resume. There is an exciting diversity in the students – covering a range of ages, nationalities, backgrounds, occupations and reasons for doing the course. Some are simply interested, some want to make their own wine and want a better grounding, and others are serious about getting into the wine industry. Applicants may have zero wine knowledge or already have vines or be in the industry. Others – like me – have vocational ambitions and want a certificate in winemaking but could not afford the time and/or money to undertake a full-time university degree. These courses have boosted wine knowledge and assisted people who have gone on to a range of wine-related work. They boost any CV and have been proven to get people over the line at interviews for wine-related positions. Examples I know of include graduates starting wineries, working at cellar doors, running vineyards, stepping up their own personal winemaking operations, becoming wine brand managers, working in wine import/export, and working in wine retail. Nicola Chandler (that’s me!) – an economist by background I now work full-time in the wine industry, albeit in two jobs – representing the University of Adelaide’s Wine2030 Network and working at the Pirramimma winery in McLaren Vale. I completed the Foundation Winemaking course in 2007. Louisa Altamura at cellar door for Penny’s Hill winery and Gary Vanzo at cellar door for Chapel Hill winery (both McLaren Vale). Paul Witt – a chemist by background, after doing the Foundation Winemaking course he became a brand manager for Pernod Ricard at Orlando. Caroline Burns of Mandelli Wines is working in viticulture consulting (completed the Foundation Winemaking course). Jo Low – completed the Wine Appreciation course and now works at Patritti winery’s cellar door. Hayley Harvey – established a winery in McLaren Vale after doing the Foundation Winemaking course. First vintage will be 2011. I enrolled in Foundation Winemaking back in 2007 with about 15 others and looked forward to it every week. It was one of the best decisions I have made in my quest to learn about, and work in, the wine industry. It is exciting as a newcomer to the industry to get involved in every stage of the process. One day we drove to McLaren Vale and picked shiraz grapes all morning, had lunch in Aldinga and then came back to the winery to crush the grapes. In 2007 the college used the winemaking facilities at Patritti winery in Dover Gardens. As of 2009 Strat has ensured that the college has installed and expanded its capacity at the college, while retaining a close relationship with the Patritti family. 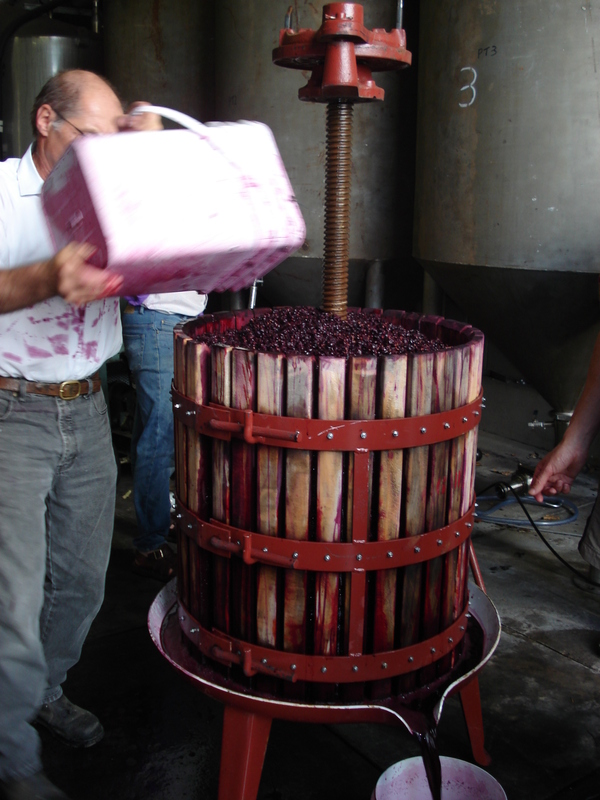 As well as attending a weekly evening course to learn about wine, winemaking and viticulture – and sometimes to taste wines towards the end of the evening – we often met at weekends to undertake the various tasks required in winemaking, including: plunging the red wines to submerge the skins while fermenting; pressing the skins after fermentation to extract the remaining juice; and ongoing testing of the wine and applying winemaking techniques, with supervision from Strat and Patritti’s winemakers. I was also part of the class which established the vineyard at the college, which is now fully productive with a range of grapes including shiraz, cabernet sauvignon and grenache. In 2007 we helped to bottle wine made by the previous year’s class. Our wine sat in a barrel for a year and we were called back to help bottle it with the latest class. Bottling days are so much fun – and generally followed by a barbecue and tasting of the wine that I volunteer my services still – see Wine passionados bottling Sturt Creek Estate’s ’09 cab. For further information call (08) 8275 8325. This entry was posted in McLaren Vale wine, New World wine, South Australian wine, Wine news, Winemaking, wine appreciation and viticulture courses and tagged Australian wine, Hamilton Secondary College, Patritti, South Australian wine, Sturt Creek Estate, Wine, winemaking. Bookmark the permalink.